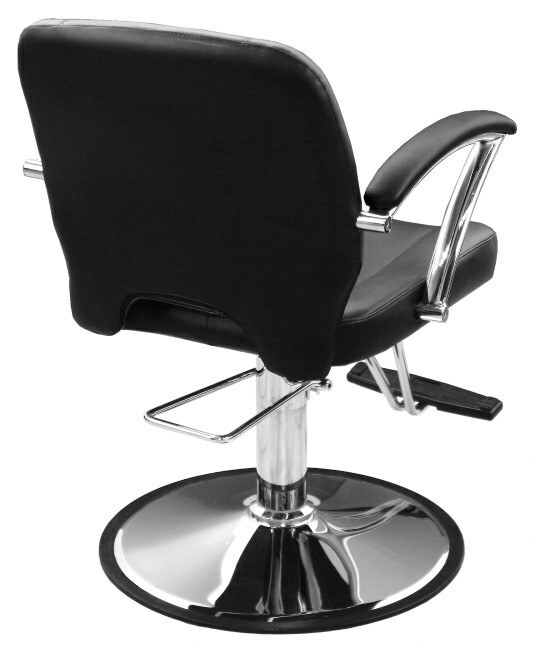 Mezzo Styling Chair w/ Standard G Base. 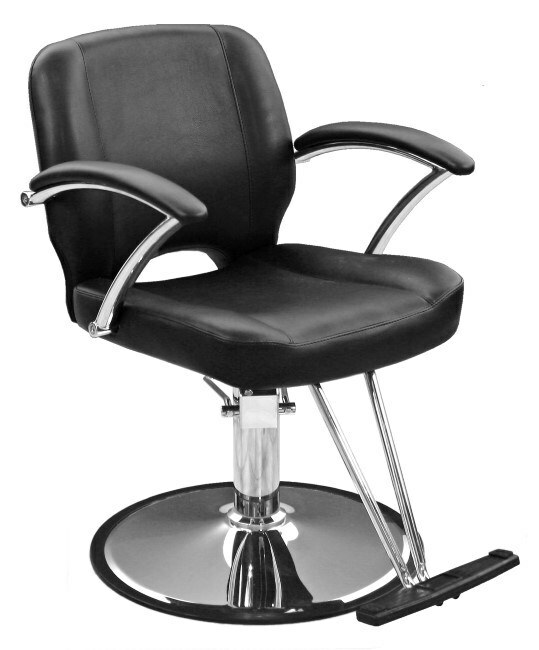 Comfortable, sculpted cushions, premium upholstery, padded armrests on polished chrome arms, V-bar rubber footrest. 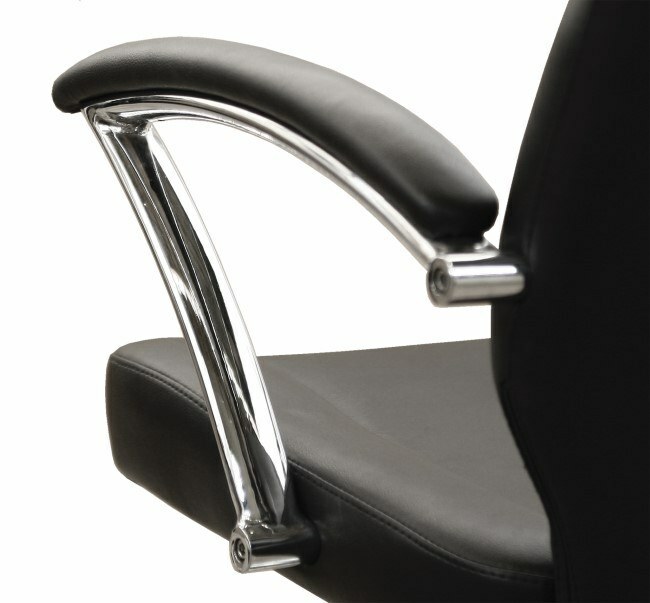 Measures 19.5" between arms, 17" high back.